But this look makes me feel all prim and proper like, which is why I had to put on my gloves. I think that's the only way to feel whenever you're dressed in either a cape or a peacoat. It's hard not to feel like a lady, am I right? What do you think of this look? Hi Cheryl, the cape looks so fierce, a very striking look!Wishing you and your loved ones a very Merry Christmas, may it be a joyous and blessed one! 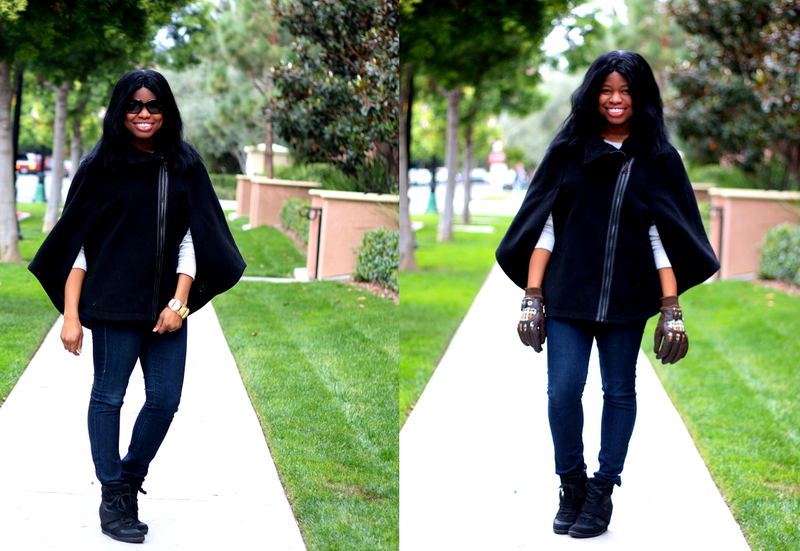 Capes are just so much fun. I own two - one wool, and the other a mid-weight cotton, and I love them dearly. I agree about needing gloves - capes and gloves are like ice cream and root beer! They were meant to be. 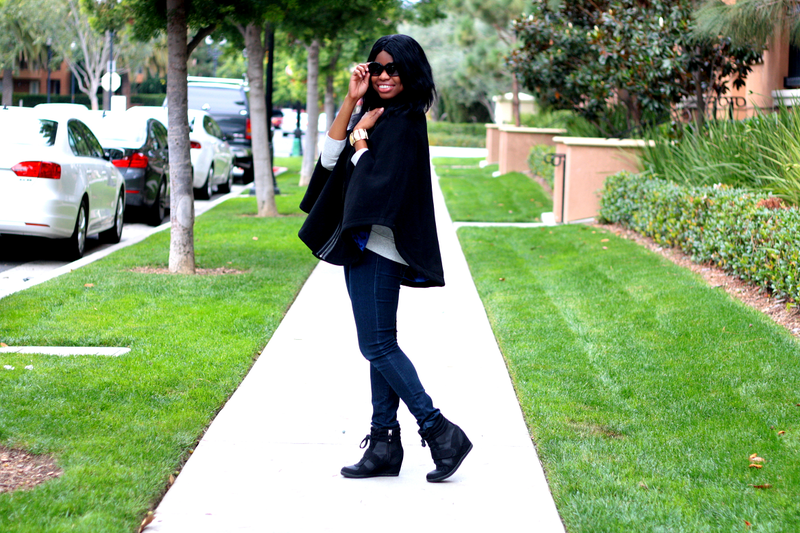 That cape is too cute on you and I love the neckline too! Check out those kicks! Haha :) I really like the cape, though I've had an obsession with capes lately as well :) Hope you have a wonderful Christmas! I think it looks really great, even being a bit loose. Seriously, I love it! that's a sharp cape Cheryl! 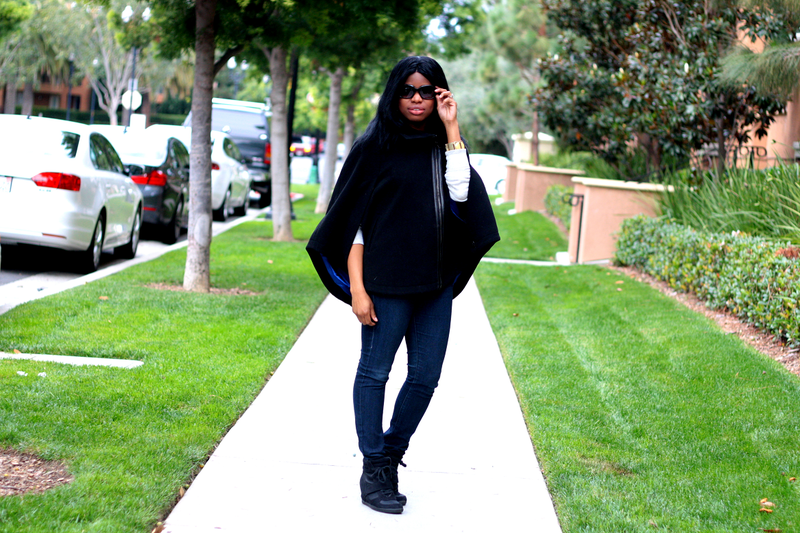 capes do add elegance to any wardrobe. they dress up jeans! hahaha looks great on you. you modeled it well. Great look, I love the cape! I love the asymmetrical zipper on the cape. Makes it really unique!